A four-phase, five-year process is underway to restore one of the largest coastal wetlands in Lake Erie. Erie Marsh contains 2,217 acres of wetlands that are home to 65 species of fish and 300 species of migratory birds. That’s according to The Nature Conservancy, the organization tasked with cleaning up the marsh. 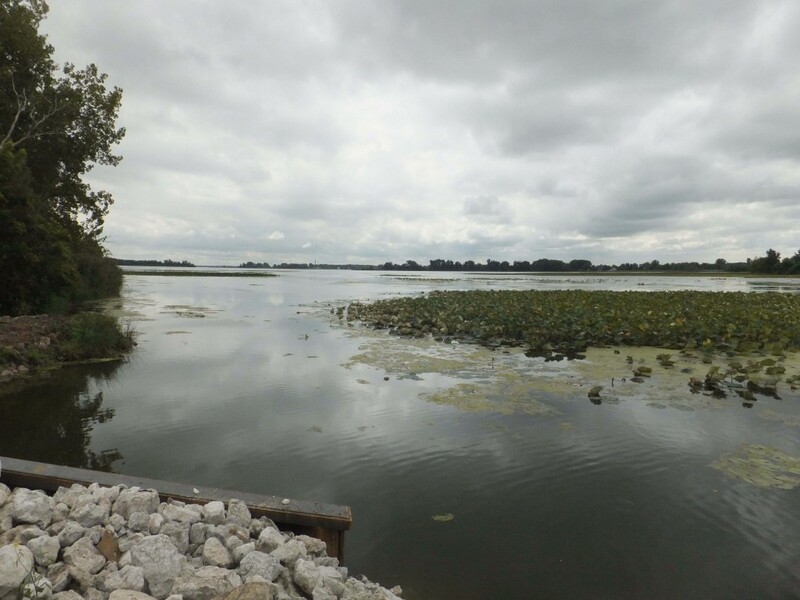 Only around 5 percent of the wetlands in western Lake Erie remain from the mid-1900s, when pollution and dike construction harmed the quality and flow of the water, according to the director of the operation to restore the marsh in southeast Michigan near the Ohio border. Dikes built more than a half-century ago to control water flowing into the wetlands cut the marsh off from the lake, said Chris May, the conservancy’s program director in Michigan. These dikes are large, long embankments of earth built to block water flow to certain areas, which is what caused the marsh to be separated from Lake Erie. 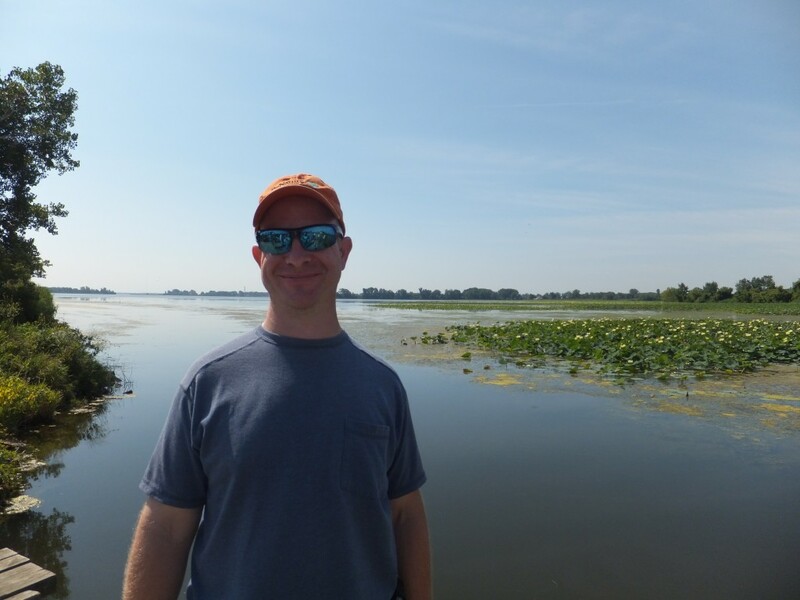 Last June the conservancy began building underwater passageways to reconnect Erie Marsh back to the lake and return fish to the wetlands. They’ll finish that next summer, May said. The project includes digging canals and installing a two-way pump capable of moving 12,000 gallons of water per minute to and from the marsh. That will help workers manage specific areas within Erie Marsh, according to the conservancy’s website. When the conservancy opened its first passageway, fish started using it on day one, said May. “There were some fish that were basically waiting to get in, like they knew it was happening,” he said. “They wanted to get in there and check out the new area. “We were surprised to see them basically waiting for opening day,” he said. The Nature Conservancy’s funding was approved in July to begin reconditioning some of the dikes that have been in place since the 1940s, May said. That will restore about 220 acres of wetlands on Erie Marsh. That project begins next year. In all, the Conservancy’s efforts are supported by $2.6 million dollars in federal funds from the Great Lakes Restoration Initiative, the National Oceanic and Atmospheric Administration and the National Fish and Wildlife Foundation. May said he is confident the last two phases of the restoration will also be funded. New dikes will be constructed and others will be restored to further reconnect the wetlands to the lake and allow the conservancy to better control water. While the dikes caused the initial problem of cutting the marsh off from Lake Erie, May says they’re now holding the area together. Phragmites, an invasive reed from Asia that have taken over many Great Lakes wetlands, are also targeted in the four phase restoration plan. Chris May of The Nature Conservancy. Phragmites have taken over the shoreline in the western end of Lake Erie. May says the Nature Conservancy will first use herbicide and then either mow or burn the area to kill them. Then the group will flood the area to drown the invasive species, using the dikes to confine excess water. “One of the key elements is being able to flood the area, and having a dike that can hold that water basically drowns out the remaining roots,” said May. If the project stays on schedule, it’ll be completed by 2017. One of the biggest positives is that the restoration follows a timetable and has measurable results, said Melissa Molenda, The Nature Conservancy’s marketing manager. Once completed, the conservancy expects about 950 acres of wetlands to be improved. With the digging of the new canals, May hopes more fish will bring more species in general to Erie Marsh.